A vehicle area network (VAN) provides a local Wi-Fi vehicle hotspot that allows handheld and other devices in the area to communicate with each other and connect to broadband. VANs connect to public 4G LTE, FirstNet, LMR, satellite, and other networks. This technology is perfect for any organization or agency that deploys multiple personnel to one location, especially if more than one person is in each vehicle. VANs are not without their challenges, however. Perhaps the most important difficulty is managing a large number of vehicles, each with its own cellular router. Large agencies or fleets can have hundreds of vehicles to account for. It’s important to know the location and status of each vehicle, and to be able to remotely upgrade the software in the cellular router that provides the vehicle hotspot. As each vehicle changes its location, it’s likely to move in and out of cell coverage areas. The best cellular routers can switch seamlessly between different networks as necessary, providing uninterrupted connectivity for the VAN without user intervention. Security is critical— in public safety, power and utilities, oil and gas, and other industries. The VAN must support today’s security standards (IPSec, VPN, WPA-2) to protect sensitive data in transit. Meeting these challenges isn’t easy, but the benefits are obvious. The ability to use standard, commercially available handheld devices to securely access video and other data from dispatch—or to provide live video to headquarters—greatly enhances productivity and safety. In public safety settings, a VAN also supports easier agency interoperability. For police, fire and medical responders, a VAN helps share video, infrastructure, GIS and other information among personnel both inside and outside the vehicles. Large public events, power outages and natural disasters can cause congestion or outages on cellular networks. 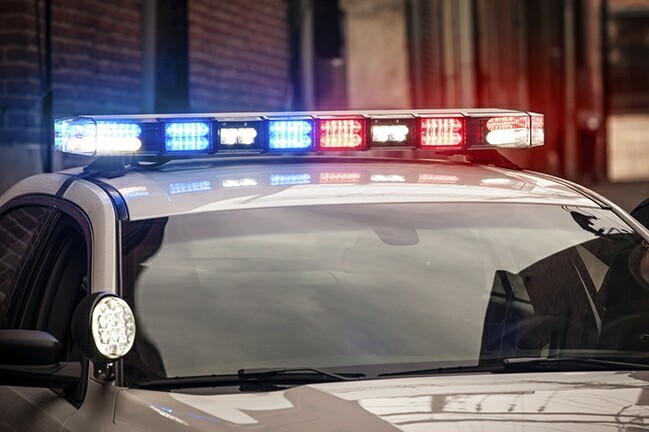 With a VAN and a multi-radio router the cellular modem can find the most reliable network available and share that connection with first responders from multiple agencies. For both the public and private sectors, VANs can lower monthly recurring costs, as data on multiple devices connected to one hotspot can be securely backhauled over one active line. To learn more about how you can get the benefits of a VAN, check out the CalAmp Vanguard 5530 and CalAmp Fusion.